When you’ve never tried yoga, it can be intimidating, especially if you’ve been scoping the jaw-dropping, super bendy, pretzel-like poses your girlfriend practices each morning. But relax: It’s actually the most basic postures—not the fancy positions—that provide you with the foundation of flexibility and strength every man needs. With that said, there are a number of yoga styles, and finding the right one will help ensure you keep up your practice. For those who want a more fast-paced practice, consider power yoga. If you want to wipe yourself out and break a serious sweat (no joke), try Bikram (hot) yoga. Hatha yoga is good for beginners because of its slow pace and introductory poses. And Vinyasa focuses around the mind-breath connection and works the body with aggressive stretching. That’s just a handful of different yoga variations designed to improve flexibility, athletic ability, mental clarity, and more. Before we get into the basic poses, here’s why you should practice yoga, in any variation. We all find ways to deal with stress. 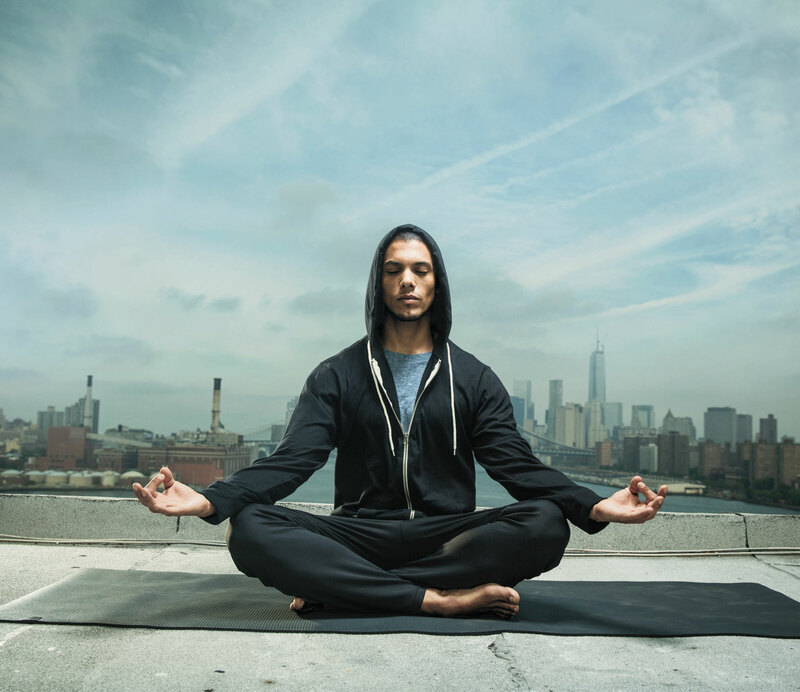 But Terrence Monte, a managing teacher at Pure Yoga, says, “going to amped up gyms or punching a punching bag can make you more aggressive or more tired.” Yoga, on the other hand, employs a number of relaxation techniques, which, with regular practice, can make you calmer overall. Sadie Nardini, host of “Rock Your Yoga,” adds: “Along with training your body, yoga trains your mind to see the bigger picture and act from integrity instead of freaking out. If you want to be more James Bond than Charlie Sheen, get yourself on the mat.” Being forced to unplug from text, calls, and email for 60 to 90 minutes doesn’t hurt either. Yoga widens range of motion and increases access to more muscle fibers, allowing for more substantial hypertrophy in any given muscle group,” says Kate Abate, a certified trainer and yoga teacher. Hypertrophy is when a muscle is enlarged because its cells are enlarged (it’s basically muscle growth on a cellular level). A study published in the Journal of Sexual Medicine found yoga to seriously enhance a woman’s experience in the bedroom via greater lubrication, and more powerful orgasms as a result of strengthening the pelvic floor muscles. For guys, yoga helps reduce anxiety and increases body awareness and confidence; and it speeds the release of hormones that boost arousal and increase blood flow to the genital area, which is important for erections. 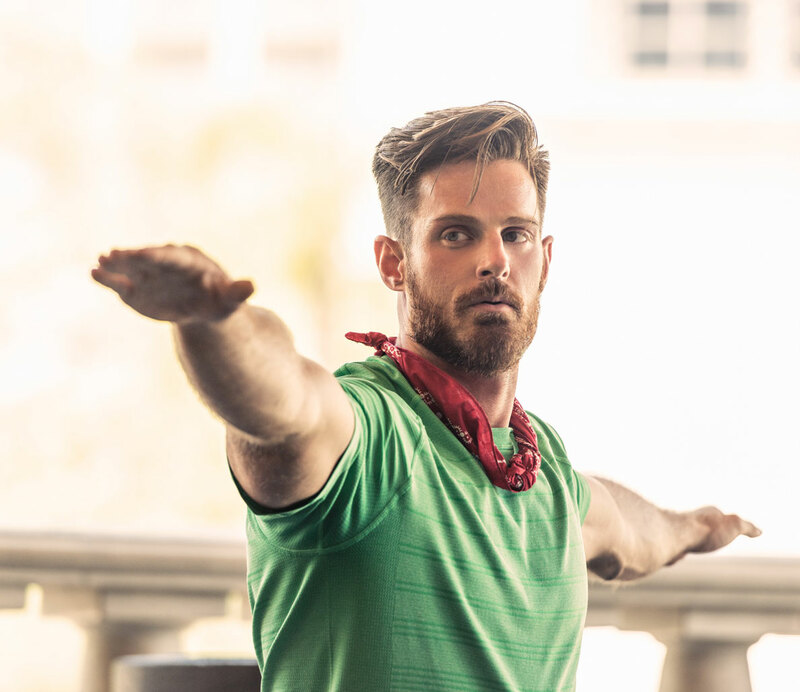 In the midst of a jam-packed schedule, committing to the relaxed space of a yoga class might be the only way for some guys to slow down and breathe right. A 2013 review found that yoga relives mild clinical depression, even in people that didn’t take antidepressants. The ancient Indian practice also was found to help better sleep better and longer. Furthermore, A study in the Journal of Physical Activity and Health found that 20 minutes of Hatha yoga stimulates brain function more than walking or jogging on the treadmill for the same amount of time. Now that you’ve found out why you regularly do yoga, it’s time to lay down the mat and start opening up your hips (and every other joint too). But before you do that, remember these three beginner tips. For your first few visits, lay your mat down in the back row so you can see what the people around you are doing. This helps you learn, keeps your neck from straining to see what’s going on, and provides you with an awesome view of your mostly female class. Why you should do it: According to Stiles, the wheel pose will open up the spine, shoulders and quad muscles resulting in improved flexibility and safeguard you from injury. Pro tip: Practice three sets in a row with rest in between for three days every week. Why you should do it: Stiles recommends taking on the challenge of the handstand for strengthening the back, shoulders and core. 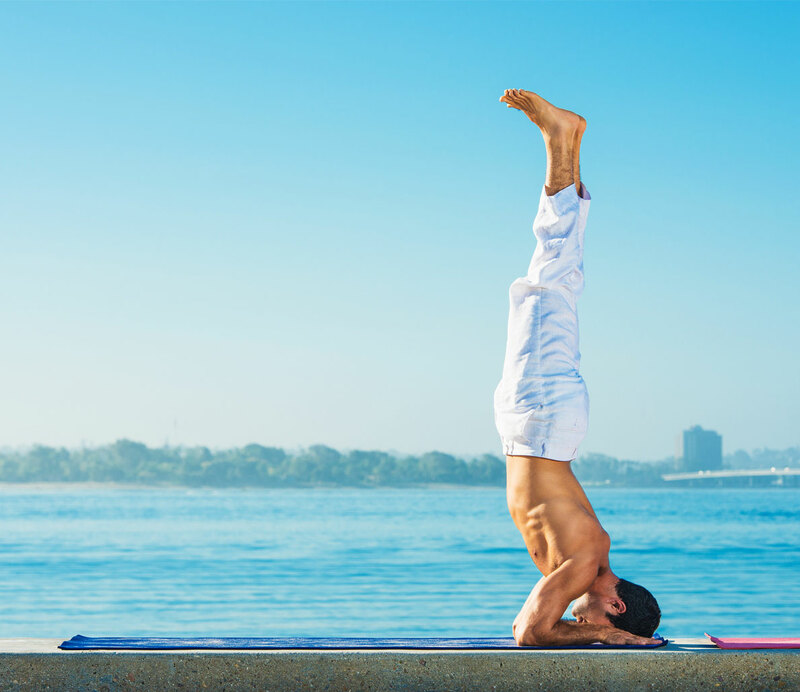 Similarly to the headstand, this pose also improves athletic balance and focus. Pro tip: Trying the handstand up against the wall will help improve your knowledge and feel of the pose with less fear of falling. Why you should do it: When it comes to building strength, increasing body mechanics and coordination, this is Stiles’ pick. A strong core is pivotal in fitness, and it will take most of the brunt along with the shoulders, biceps, triceps and forearms.